The NSA's collection of "bulk telephony metadata" has been ruled unlawful. 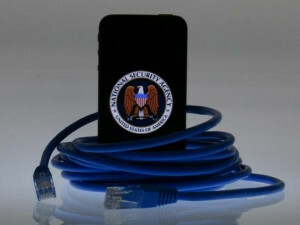 The US court of appeals has revived a challenge to a controversial National Security Agency (NSA) programme that collected the records of millions of Americans' phone calls, saying the program was not authorised by Congress. The second US Circuit Court of Appeals said a lower court judge erred in dismissing a lawsuit by the American Civil Liberties Union (ACLU) that challenged the constitutionality of the surveillance on the ground it violated people's privacy. At issue was the NSA's collection of "bulk telephony metadata" - a programme whose existence was first disclosed by former NSA contractor Edward Snowden. In December 2013, US District Judge William Pauley in Manhattan dismissed the ACLU lawsuit, saying the NSA program was a "counter-punch" by the government to aid its efforts to fight terrorism. Writing for a three-judge appeals court panel, however, Circuit Judge Gerard Lynch said Congress did not authorise the NSA program under a section of the Patriot Act governing how investigators may collect information to fight terrorism. "Such expansive development of government repositories of formerly private records would be an unprecedented contraction of the privacy expectations of all Americans," Lynch wrote in a 97-page decision. "Perhaps such a contraction is required by national security needs in the face of the dangers of contemporary domestic and international terrorism," he added. "But we would expect such a momentous decision to be preceded by substantial debate, and expressed in unmistakable language. There is no evidence of such a debate." Today's court decision did not resolve the issue of whether the NSA program violated the bar against warrantless searches under the Fourth Amendment. The second circuit returned the case to Pauley for further proceedings. It upheld his denial of a preliminary injunction to stop the collection of records.